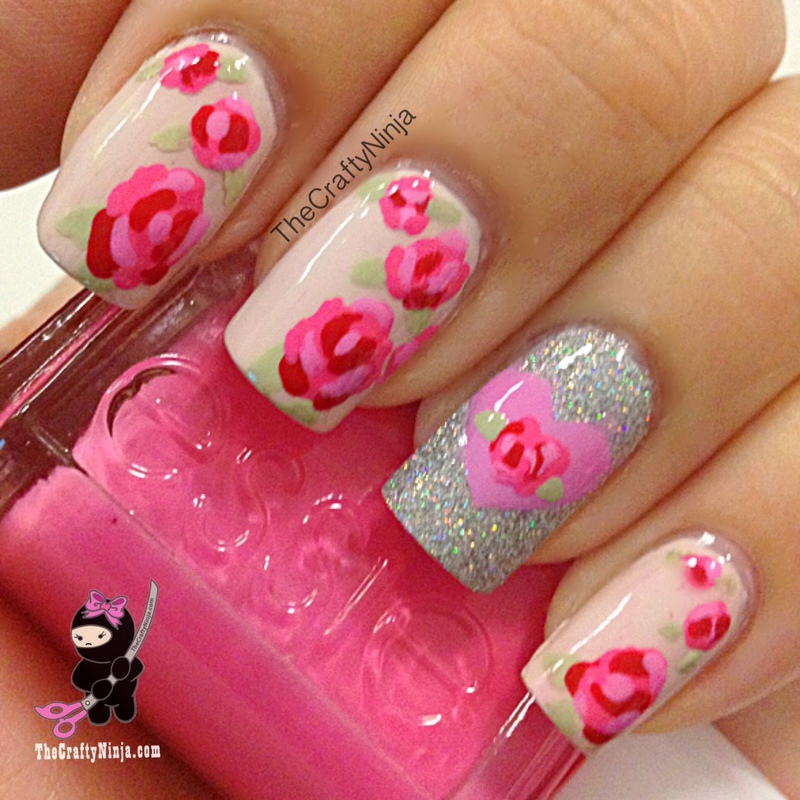 Rose nails adds a romantic pretty look to my nails. 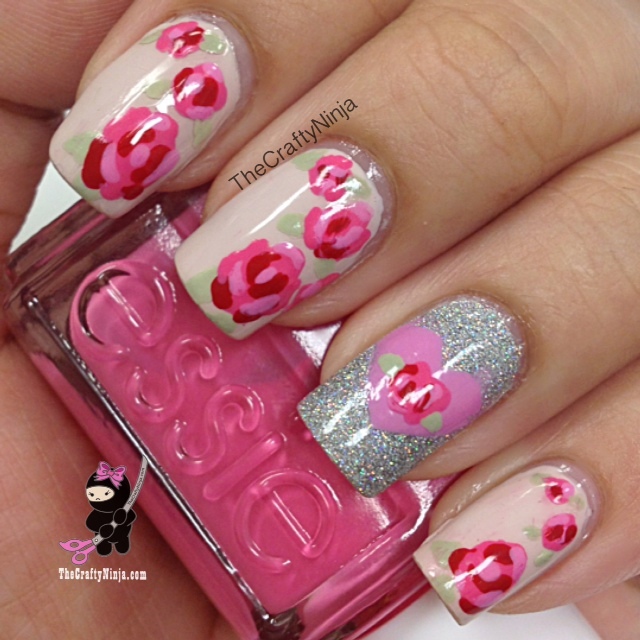 First I painted my nails with a Pink Heart nail design, check out the tutorial here, and painted over them with Roses to create this nail design below. 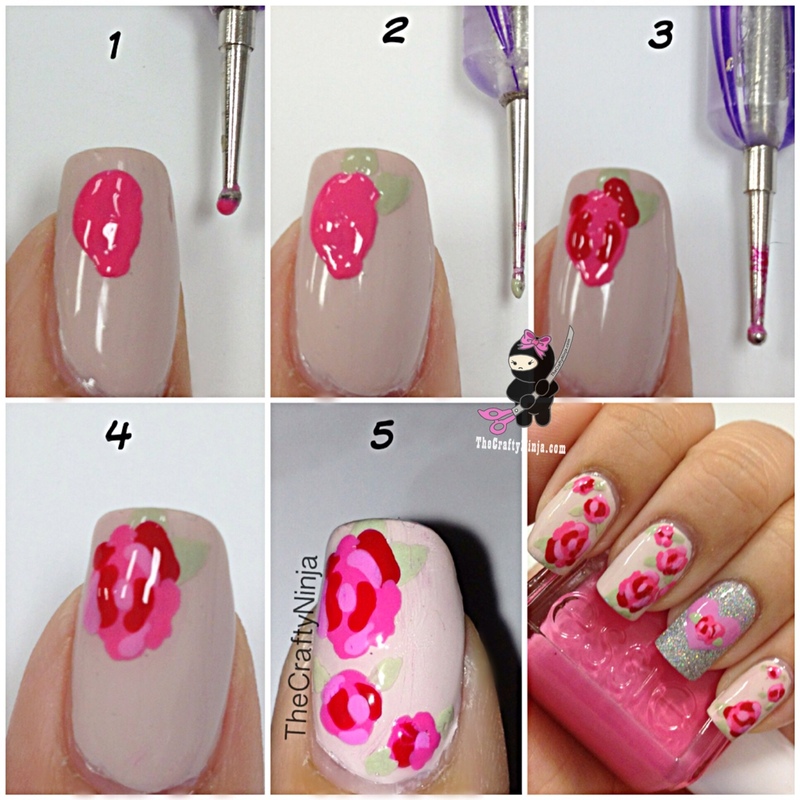 I used a Nail Dotting Tool to create the rose petals. The nail polishes I used are: Orly Decades of Dysfunction for the base. For the Rose petals: Essie Off The Shoulder, Butter London Pillar Box Red, Essie Cascade Cool, and OPI Where’s My Bikini Top?